I talk a LOT about Pinterest Marketing, and one of the most common questions (or confusions really) around the platform is this – How can I use Pinterest for marketing in my business? Surely it’s just a place to gather recipes and plan a wedding, right? Wrong. A Pinterest marketing strategy for your business can really help you to target your ideal client, bring them over to your website, and then either get the sale, or get them on your list. 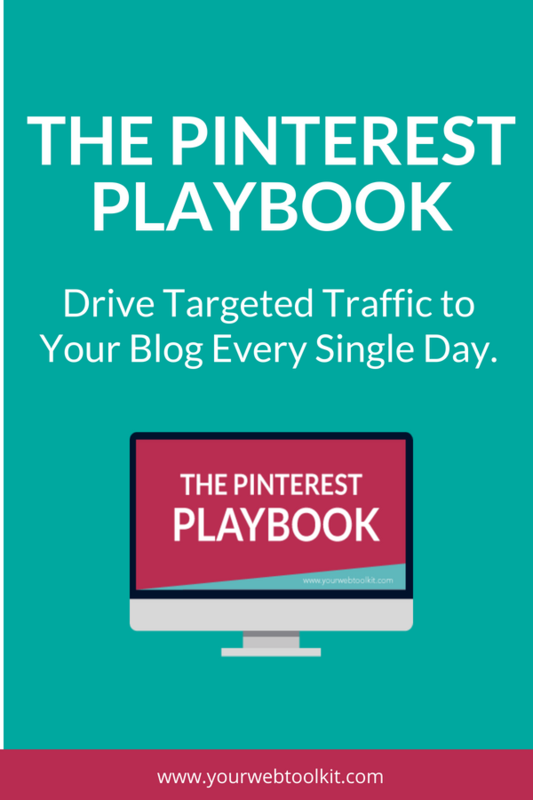 And if you’re tired of all the other platforms – and how much time you have to spend on them – I think you’d be pleasantly surprised to find out that you can implement a strong Pinterest marketing strategy in as little as an hour a week. Let’s see what you can expect from Pinterest marketing these days and how it can elevate your marketing strategy. Many people believe that Pinterest is all about reaching customers and selling products, not engaging with other companies. However, if you have a B2B business, you can still use Pinterest for your business marketing. Pinterest allows you to share blog posts that capture the attention of your ideal client. Create an eye-catching pin, do your keyword research and link that pin back to your blog posts or landing pages. As long as you have your website optimised for conversions, those blog visitors should then join your email list, allowing you to grow and nurture the relationship. Pinterest is a giant search engine (hello prettied-up Google), and you would be surprised by just how many business owners are on there, looking for what you’ve got to offer. Want a way to find out if your ideal client is using Pinterest as a search platform? This video walks you through how to do keyword research inside Pinterest. My tip? If your keywords are showing results already, then your audience is there on Pinterest. There’s a (very wise) saying that you can’t improve what you’re not tracking. Pinterest is a bit of a geek-heaven in that it has a lot of in-built analytics that allow you to see how well your Pinterest strategy is going. You can also integrate with Google analytics to compare where your traffic is coming from in relation to other platforms. After you’ve been using Pinterest for a while, you might be pleasantly surprised to see just how well things are going. You can then see which platform is performing best for you. Stuck on ideas for what to write on your blog? Not sure what ebooks, courses or digital products you could create for your audience? Pinterest is AH-MAZING for this sort of research. 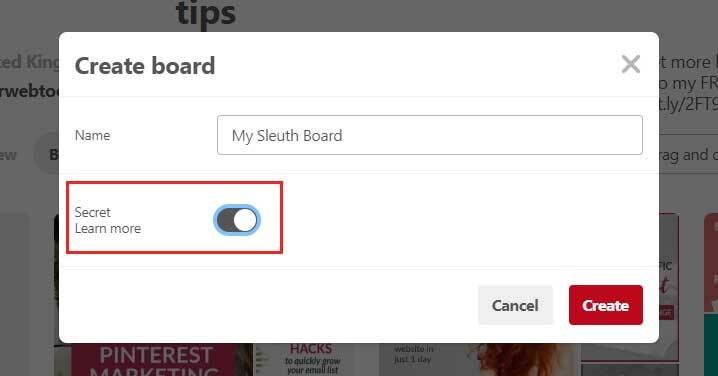 Create a secret board for your sleuthing, and then get searching. Creating a secret board is SUPER easy. Simply create a new board, and just below the title there is a switch that makes is secret. Easy as! You’ll get ideas for blog posts, inspiration and insight into what sort of headlines work. You can mine for keywords, and see which hashtags are being used. Use those pins to find your competitors websites, landing pages and products – and get new idesas for content (free and paid) that you can add into your business marketing mix. Next time you’re working out what to write in your blog post – click onto your secret board, and you’ll have a HEAP of inspiration staring you in the face. Here’s a tip: when you search for something specific, the pins that come up on that page are the pins that Pinterest feels are most relevant to that term (think of it like being Page 1 of Google). So, that content, those headlines, and the keywords being used are all highly relevant. Use that to your advantage, and feed it all back into your blog posts, headline and pins. Using Pinterest to support your list building strategies is therefore a very smart move. By creating ‘visual headlines’ – well-designed pins that link back to your blog posts – you can drive lots of targeted traffic back to your content. Pair that with a really relevant lead magnet for the blog post, and you’ll see your conversions start to rocket and your email list growing every day. 5. Sell Ebooks, Courses and More! Did you know that Pinterest can be used for sales? Yes, it’s true! While you can’t sell products or services on the site directly (unless you have a Shopify store in the US – but I digress! ), you CAN use your pins to direct customers to landing pages that sell your lower-priced products. I’ll be honest here – Pinterest isn’t going to turn cold leads into buyers for your high-ticket products or services (but as mentioned above, it’s a great way to get people onto your list to nurture them for those kind of sales). However, for lower priced products, you have a good chance of getting people in an impulse-buy mode. If you sell ebooks, or courses or other digital products on the lower end of the scale, create pins that go directly to those sales pages. By using a scheduler like Tailwind, you can batch create all your pins in one sitting. Then you quickly pin them across multiple boards, fill in the gaps with awesome related content, and you’re done! All up, about 1 hour of work, for 7 days worth of pins. I love it! As you can see, Pinterest offers a lot more than just a way to see some cool pictures of arts and crafts (and food). If you’re not using pinterest for business marketing yet, I’d highly recommend getting started. 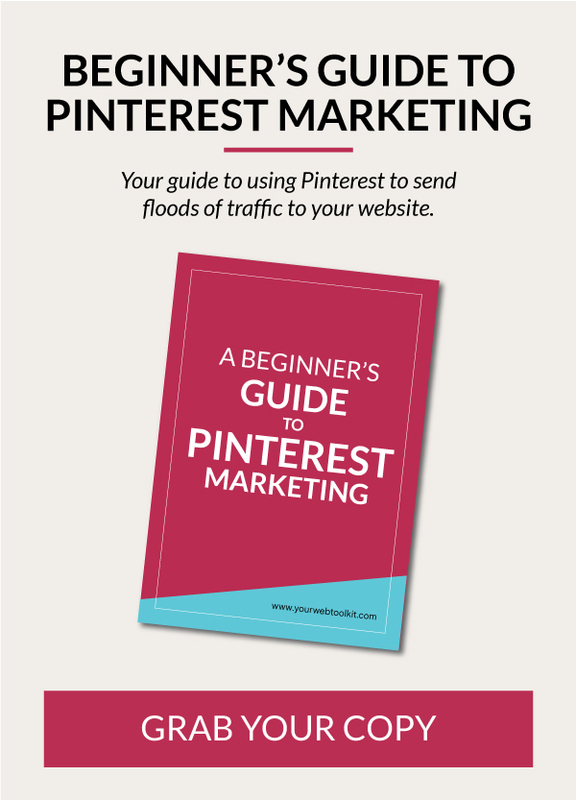 Download my Beginner’s Guide to Pinterest Marketing. It’ll walk you through all the steps you need.